Over time, Hotel Bristol Geneva has discreetly built up a reputation for high quality. Constructed from 1851 on the site of ancient fortifications, it forms part of the most prestigious buildings of the Mont-Blanc square in Geneva. 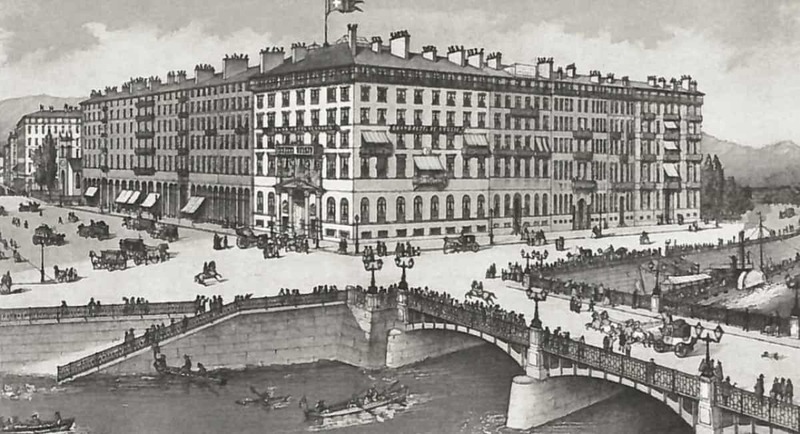 The building was acquired by the Pension Roth in 1896, and thanks to the efforts of the Leppin family (owners for almost three-quarters of a century), it then became a first-class hotel. In 1972, the Leppin family sold the Bristol to Count Guy de Jacquelot-du-Boisrouvray. Today it is still a family-owned hotel, giving it an independence that is cherished by our guests.